So an invitation to the official launch of the new Motörhead beer made me curious: just how do these brews come about? And who’d want a lager flavoured with JD & coke anyway? 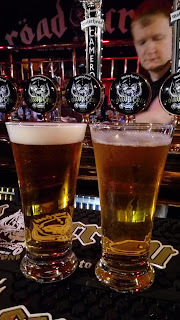 Just joking – JD&C might have been Lemmy’s favourite tipple, but the new beer is actually an American Pale Ale named for the band’s eulogy to its eponymous Röad Crew. It’s brewed by Cameron’s, a 150-year-old family-run brewery in Hartlepool, and the brewery’s head of marketing Yousef Doubooni says it was the band’s management that approached them about a beer, not vice versa. And unlike some of those other band beers, where band members actually visited the brewery and discussed beer, in this case it was left to Cameron’s to suggest ideas, send over samples, and so on. Why an American Pale Ale? “We sell a lot of Trooper in our pubs, so it was important to have something different,” Yousef says. Camerons has also done seasonal APAs before, he adds, plus it has its crafty Head of Steam pub chain where it does quite a bit of ‘white label’ testing of new brews from its 10-barrel pilot brewery. The first thing of interest is Röad Crew’s on offer in three different packages: cask and keg at 4.5%, and bottled at 5%. A higher ABV for a bottled version is pretty common now, Yousef says that as well as “maintaining the flavour better, it also suits the export market better – they prefer 5-plus.” The export market’s a key one for a beer that’s essentially a bottling of an international brand, with the initial targets being Switzerland, Italy, Germany, Serbia and Slovenia. And no, I’ve no idea why Motörhead should go down so well in the Balkans! We got to try all three formats at the launch; sadly, the cask version was totally lacking in condition, but the keg and bottle versions were both fine and eminently quaffable. Röad Crew is a well-made albeit fairly typical APA – hints of orange on the nose, then lightly honeyed golden malt with a fruity bitterness. 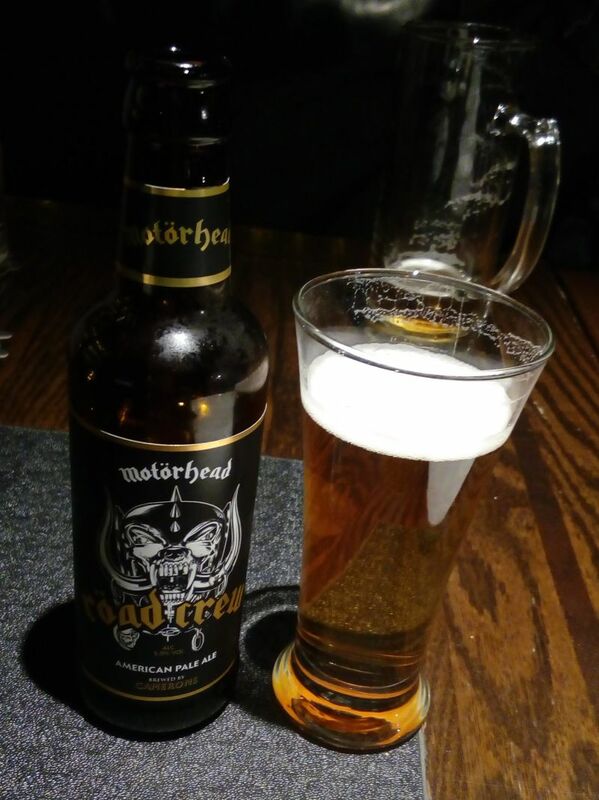 The one thing it doesn't do, beyond the artwork on the labels and pumpclips, is say anything about Motörhead. I guess it’s a reminder of the extent to which music is a merchandising business now – and that relatively few musicians are actually interested in brewing!